Is it a car? Is it a plane? It’s both! The PAL-V Liberty Sport Edition is an innovative mode of transportation that can take you on the road as well as in the sky. This 3-wheeled wonder needs very little space to take off, about 330 m and can land in a space equivalent to the size of a tennis court. In drive mode, it has a maximum speed of 160 km/h with a range of 1315 km and can reach top speed acceleration in less than 9 seconds. In flight mode, it can reach speeds of up to 180 km/h at an altitude of 3500 m for about 4.3 hours. 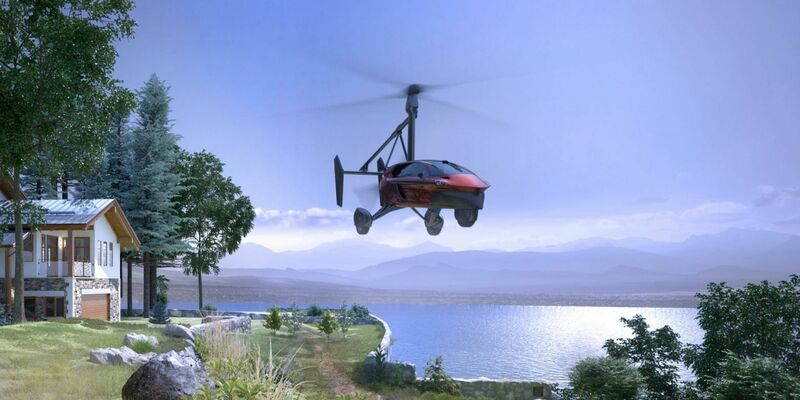 It does require both a driver’s license as well as a pilot’s license, but that seems logical given it’s a flying car!